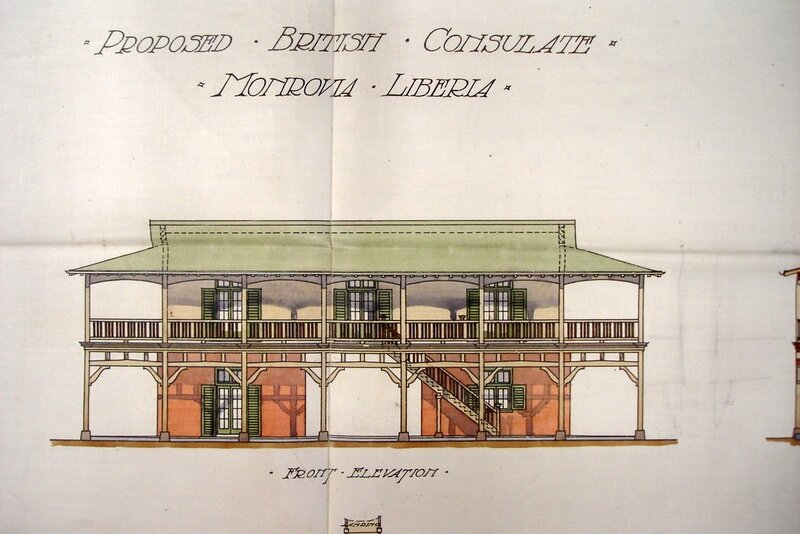 There was a British consulate in Monrovia for several decades after the founding of the Republic of Liberia in 1847, but the office became non-resident later in the century. A consulate was re-established in 1902. The Post became a legation in 1946 and an embassy in 1952. A site of about three acres (called Plot No.2) was leased in 1907 from the Liberian government at a nominal rent for forty years (with an option, which was taken up in 1947, to extend for a further forty years). The site was next to the sea on Mamba Point, a short distance west of the original township. A simple consular building was erected here in 1908, at a cost of about £3,500, with materials specified, procured and shipped to Monrovia by EF Blakely and Co. of Liverpool. The superintendent of works was WO Keats. 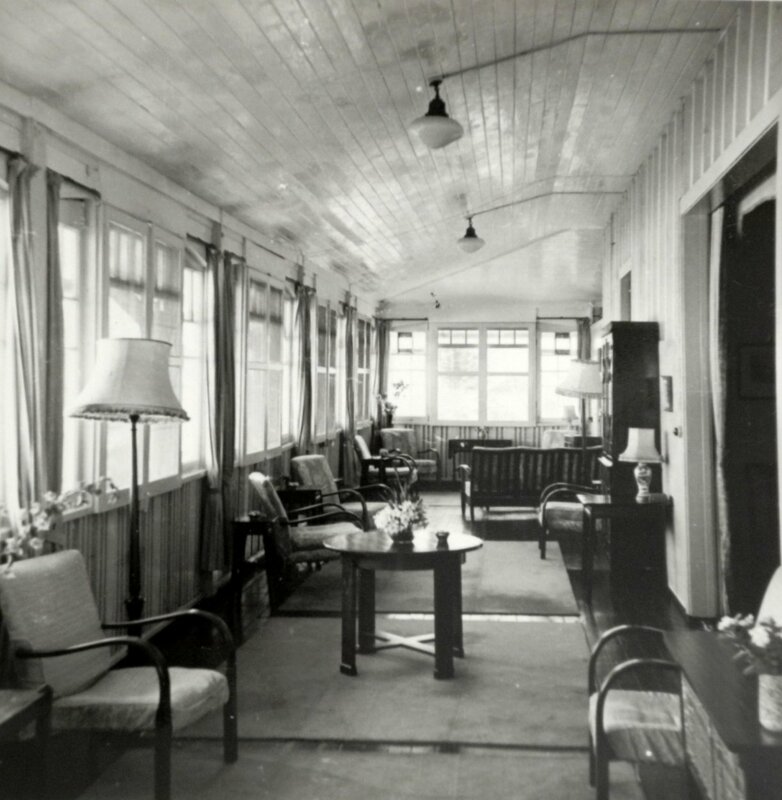 Part of the lower veranda was enclosed in 1911, mosquito netting was installed ten years later, and electric lighting in 1931. An adjacent site of two acres (called Plot D 100) was leased on similar terms in 1937 with the intention of building a house for the vice-consul on it but local complications delayed its being erected until the early-1950s. It was extended and upgraded to first secretary standard in 1960. By 1955, the 1908 building was in a fairly poor state and its replacement by a new building on exactly the same site was agreed in principle. 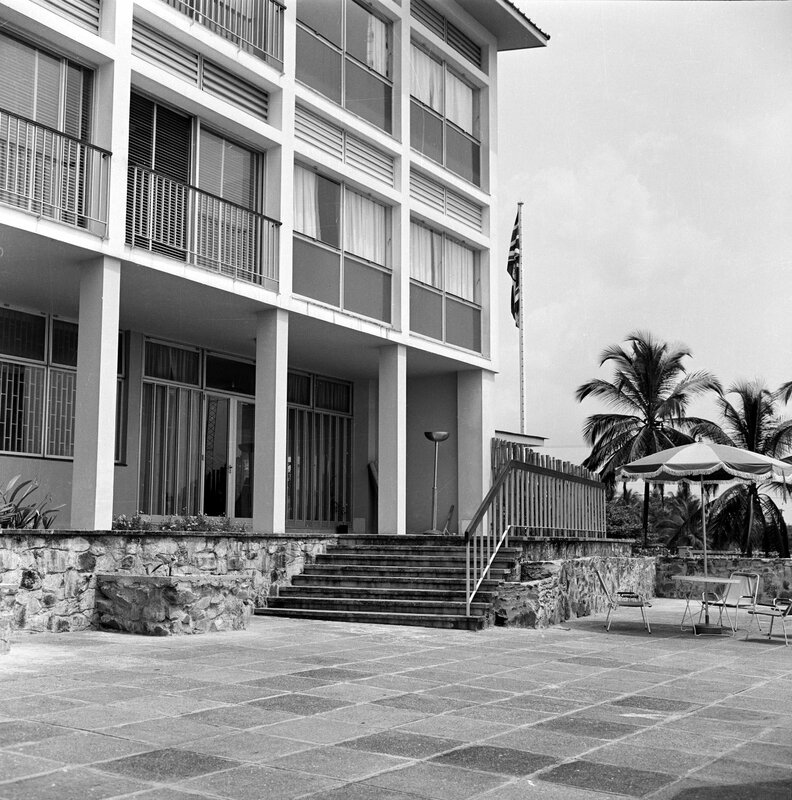 A three-storey building, opened by HM The Queen, was completed in 1961, with embassy offices on the ground floor and the ambassador’s residence on the two upper floors. A third building on the combined site, two staff houses with a one-bedroom flat over a former garage between them, was completed in 1973. The Post closed in 1991. The lease terms forbade assignment and the buildings at Mamba Point were surrendered to the Liberian government. Some of them later became absorbed into the neighbouring US embassy compound [check]. 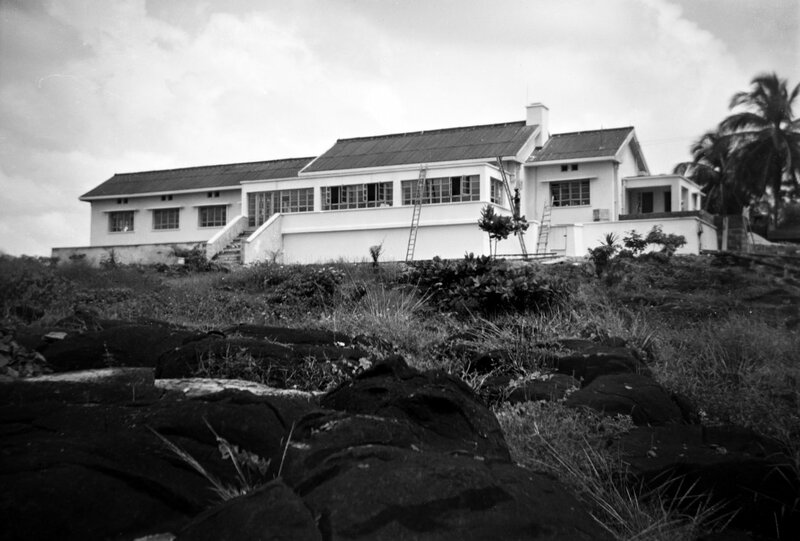 The Post re-opened in 2013, with its offices in a compound at Sinkor, a few miles east along the coast from Mamba Point. 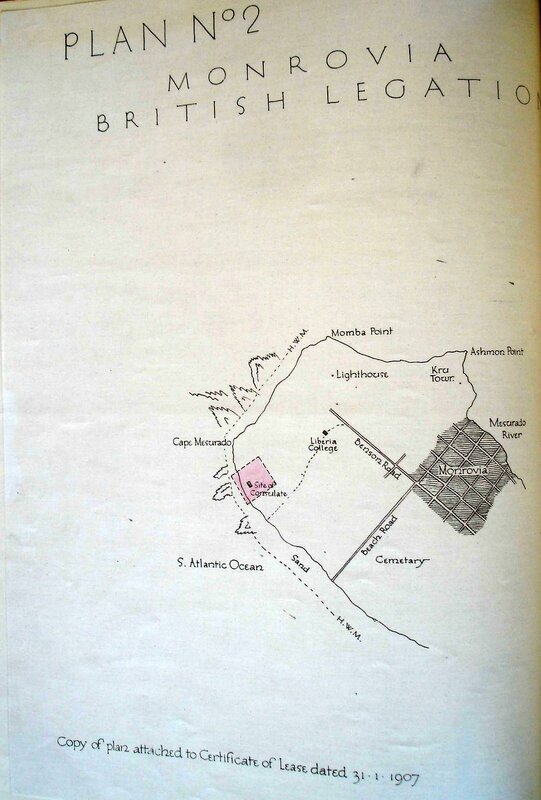 Plan of Mamba Point, showing consular site in pink, 1907. 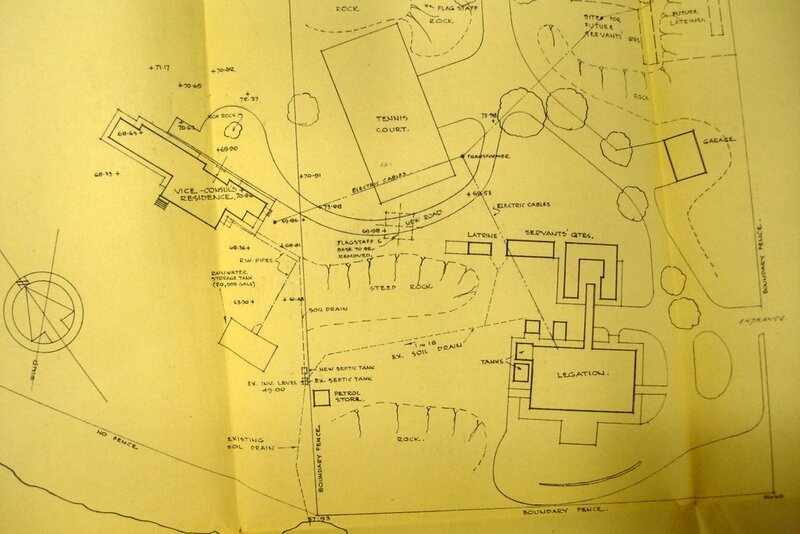 Siteplan, with vice-consul’s house on the left, c.1955. 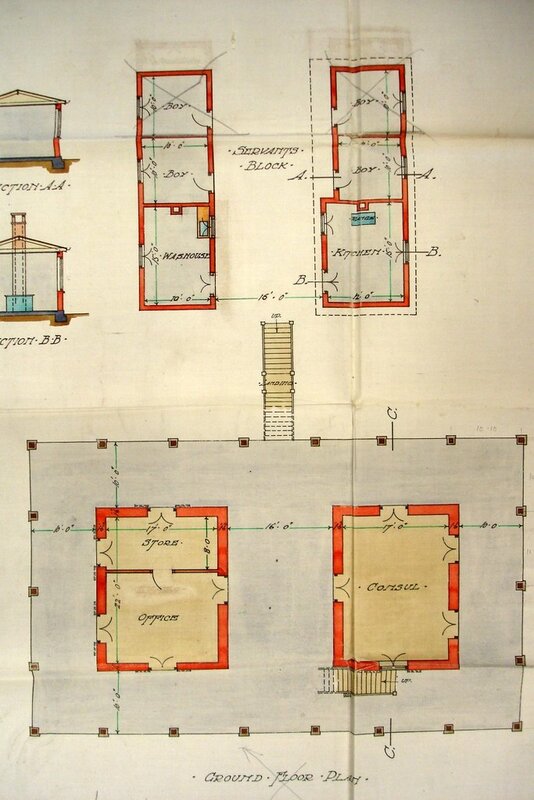 Proposed ground level plan below consulate, 1906. 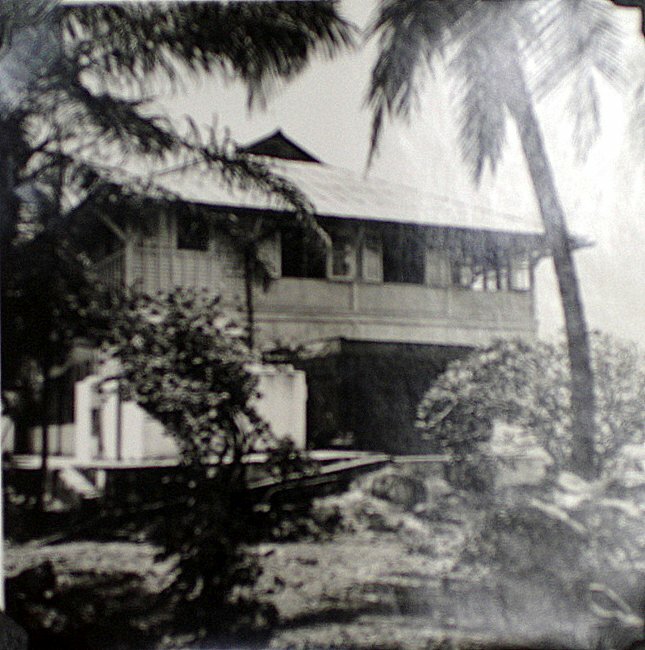 Vice-consul’s house, viewed from the beach, 1952. 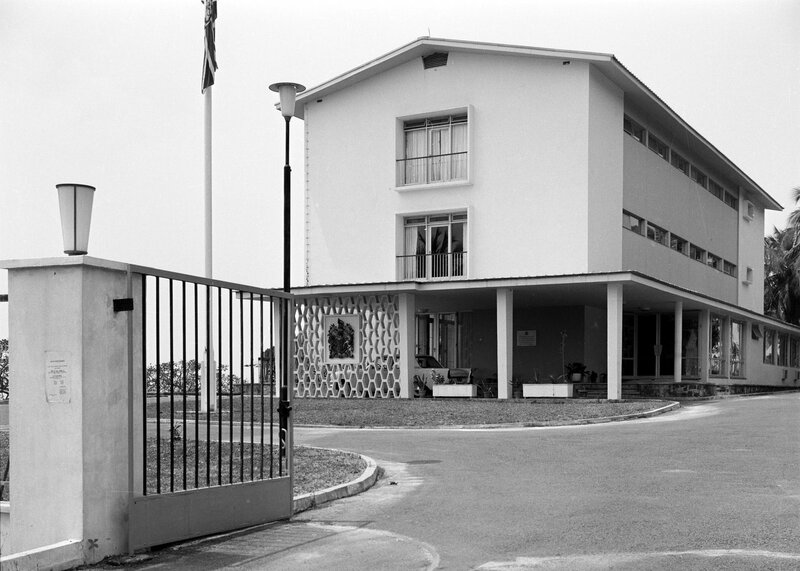 Entrance to compound, with new office/residence building, 1964. 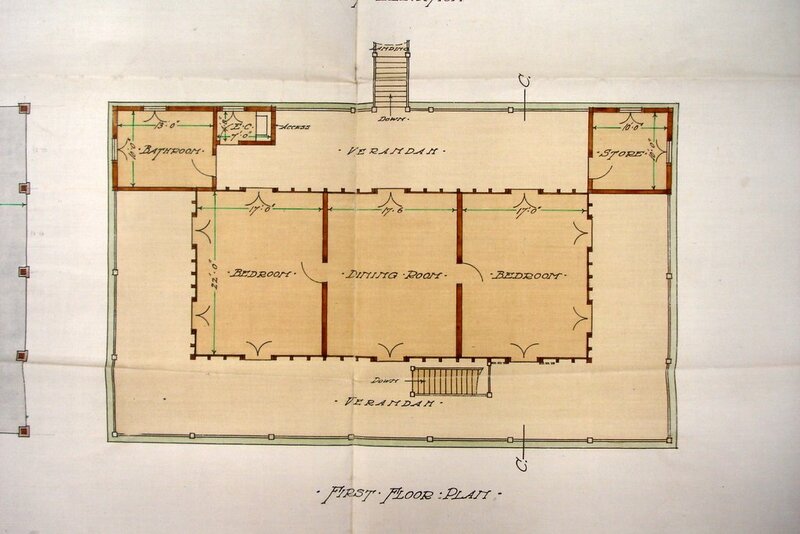 Prposed main consulate floor plan, 1906. 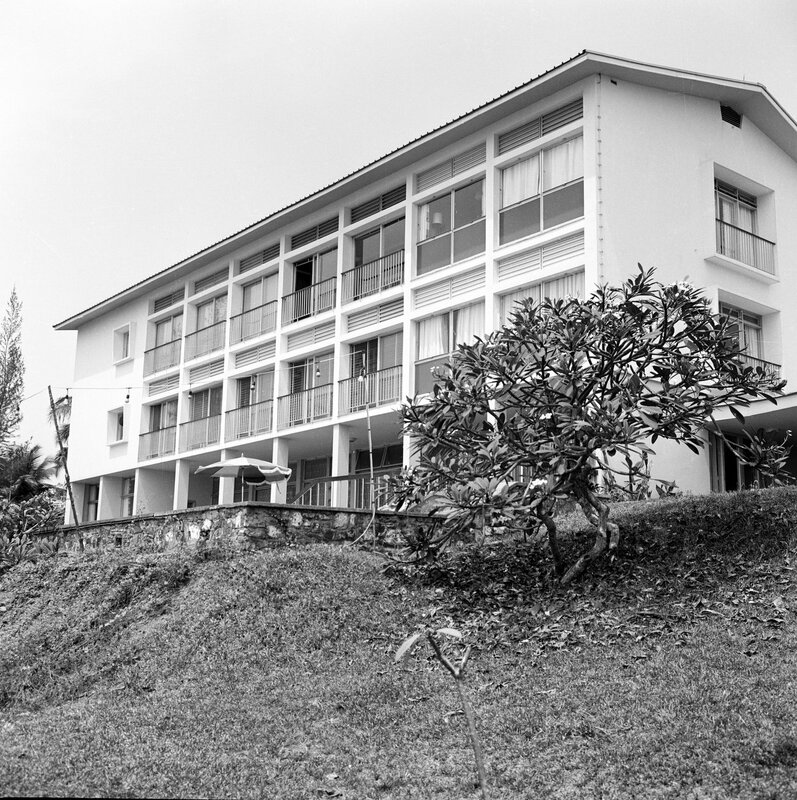 Office/residence building from the beach, 1964. Proposed front elevation of consulate, 1906.